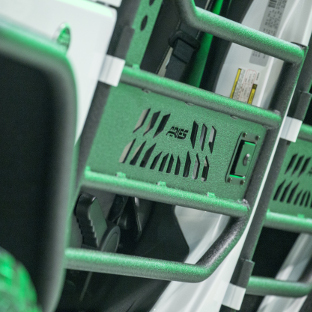 If you're looking for adventure, a taste of fresh air and the most exhilarating offroad experience of your life, look no further than ARIES tube doors for Jeep Wrangler. They are designed to truly connect you to the outdoors and bring the trail to life like nothing else. 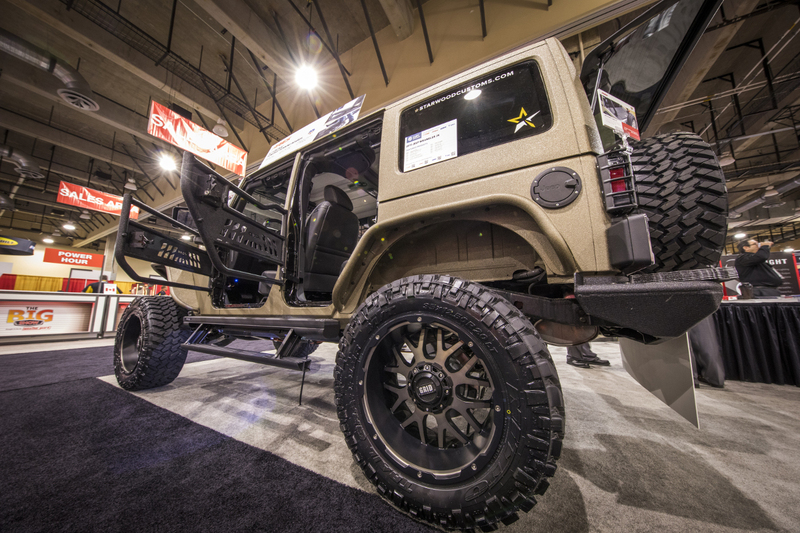 ARIES Jeep Wrangler half doors add an aggressive look to your Jeep and feature a highly durable, non-corrosive construction to withstand the elements. 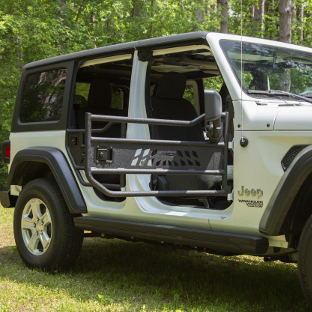 ARIES tubular doors for the Jeep Wrangler are made with offroad enthusiasts in mind, featuring an open-concept design and trail-ready powder-coated aluminum construction. 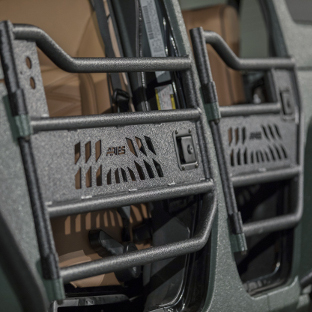 Utilizing the existing factory hinge points on the Jeep, these doors are fast and easy to install. They come with swing-out straps and are compatible with the factory mirrors. 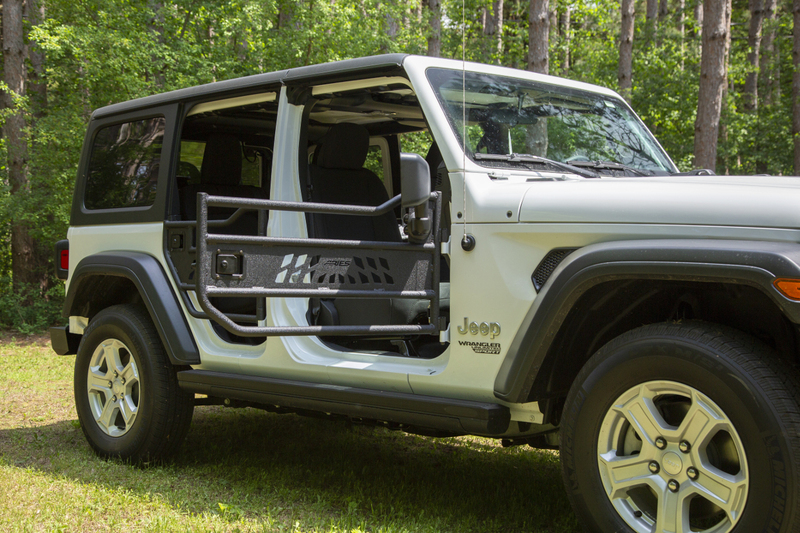 To give your Jeep Wrangler the advantage over every sand dune and boulder, ARIES Jeep tubular doors feature a hardened, T6 aluminum construction. Aluminum is an obvious choice, ensuring a lightweight design to keep your rock crawler unencumbered. The aluminum is welded together into a solid, one-piece configuration, and we use 100% TIG welds for ample strength and a precise fit. Not only does an all-aluminum construction help keep the weight off your ride, but it also provides superior rust resistance. T6 aluminum easily withstands rain, mud, road salt and other corrosive threats. This makes ARIES tube doors the perfect choice for offroading. They're built for constant exposure to the elements, helping to keep your custom build trail-ready season after season. 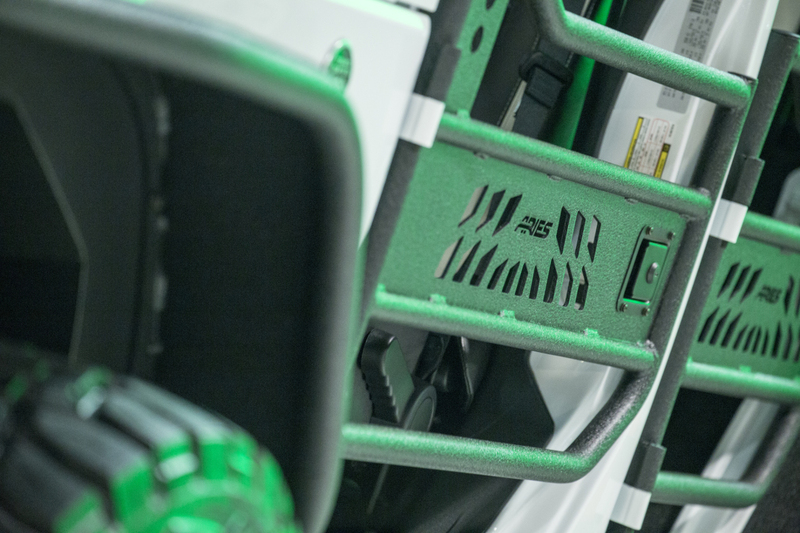 To make sure ARIES Jeep aluminum doors are ready for any offroad challenge, we cover them in a unique textured black powder coat finish. This highly durable finish not only defends the aluminum doors against moisture and corrosion, but the textured surface provides an additional benefit. The highly textured finish helps hide minor scuffs, scratches and even grime that are built up on the trail. These imperfections blend into the textured surface, and the doors are able to maintain a cleaner and more consistent look. 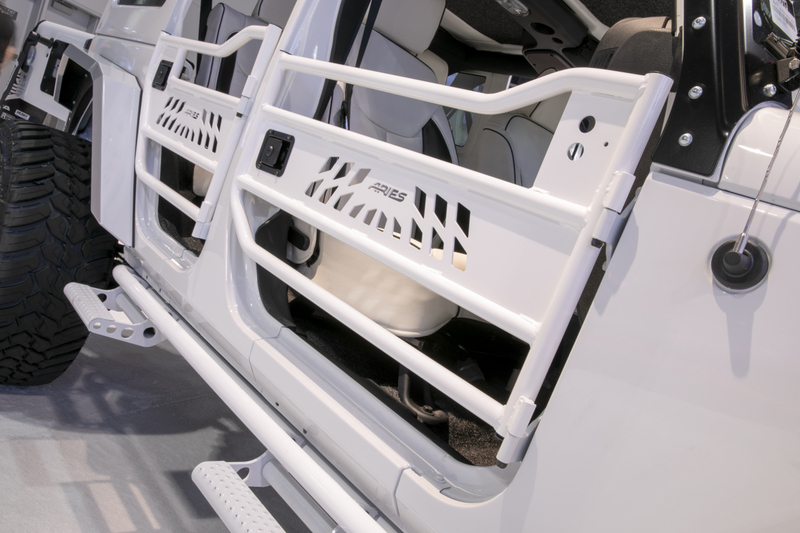 ARIES tubular Jeep doors are quick to install, using the factory hinge points and requiring no drilling, cutting or other tedious vehicle modifications. 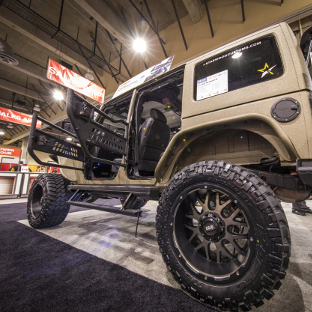 Tube doors are designed for a vehicle-specific fit on the Jeep Wrangler. 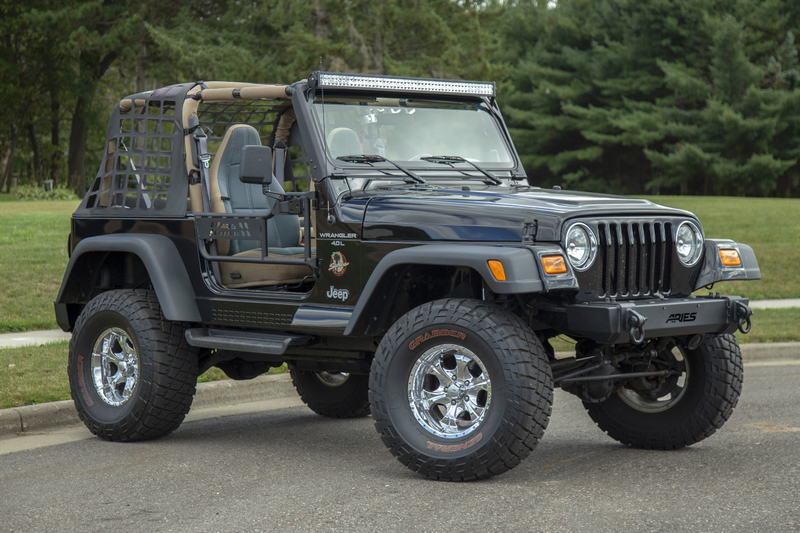 They're available for the front and rear, including applications for the Jeep JL, Jeep JK and Jeep TJ. 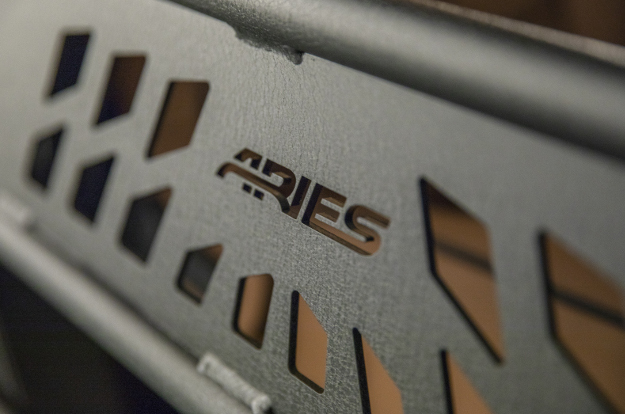 Note: Before purchasing ARIES tube doors, we recommend checking your local and state laws. Some laws may prohibit the use of this product. 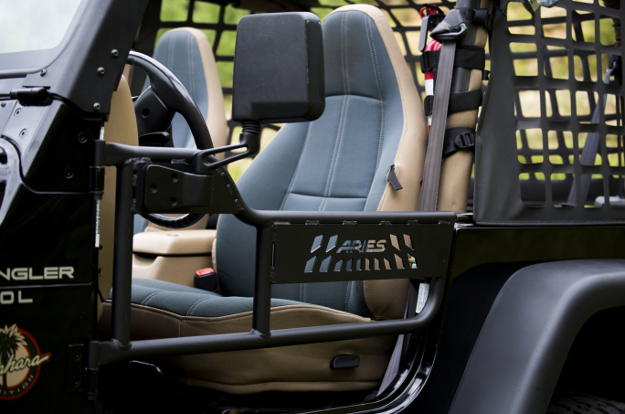 Because of their Jeep-specific fit, ARIES tube doors are fast and easy to install and remove as needed. Throw them on at the beginning of the offroad season and easily uninstall them again at the end of the season. All you need it a ratchet, socket set and Torx bits. 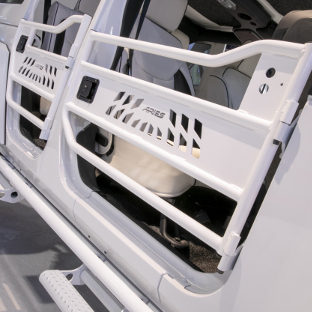 The tube doors replace the Jeep Wrangler factory doors, mounting onto the existing hinge points and using the existing door catches. They come with pre-attached safety straps to avoid excessive swing-out, and they can accept the factory side mirrors (not compatible with power mirrors). 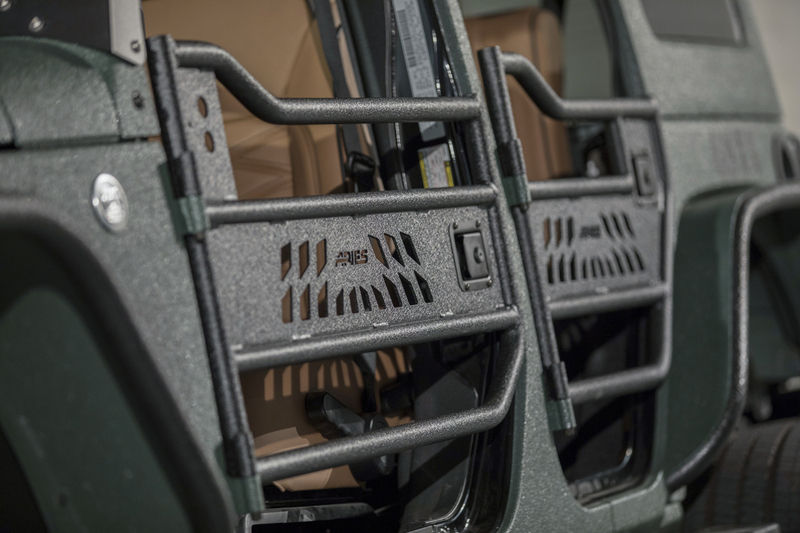 Out on the trail or even at the office, when leaving your Jeep Wrangler unattended, ARIES tube doors provide an extra measure of security. The door latches are equipped with key-operated locks. 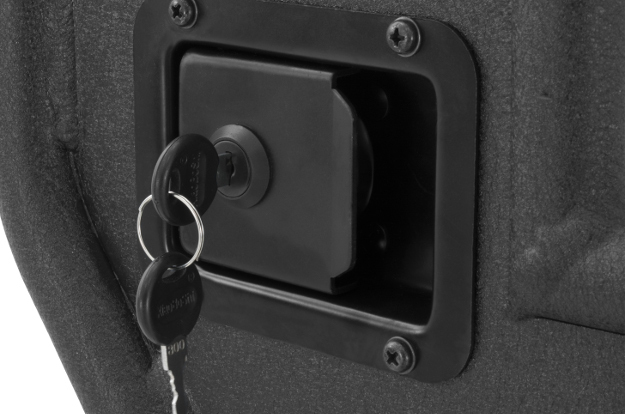 These locks do not completely eliminate the risk of break-in, but they do deter unwanted entry and theft of any items you leave behind (not included on Jeep Wrangler TJ application).